When is Vinayaka Chavithi 2044? , Ganesh Chaturthi 2044, Vinayaka Chaturthi 2044. The Vinayaka Chavithi is also known as Ganesh Chaturthi, is one of the most enthusiastically celebrated festivals of the Hindus in India. This Festival is dedicated to God Vinayaka, Who is the God of wisdom, wealth, learning, and Knowledge. Vinayaka Chavithi is observed in a grand manner through out the country. God Vinayaka is widely worshipped the Hindu Mythology. 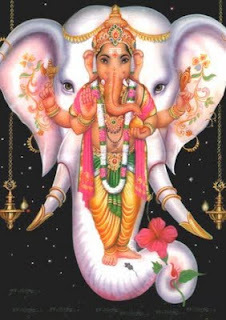 Before worshiping any God or Goddess or Before Starting of any new thing, one should seek the blessing of God Vinayaka, who is believed to be the lord of obstacles. Ganesh Chaturthi observed in the Hindu calendar month of Bhaadrapada, on the shukla paksha chaturthi (fourth day of the waxing moon period). This year, Ganesh Chaturthi falls on (Friday) 26th August 2044.